One thing we know about Henry Thoreau is that he loved owls. 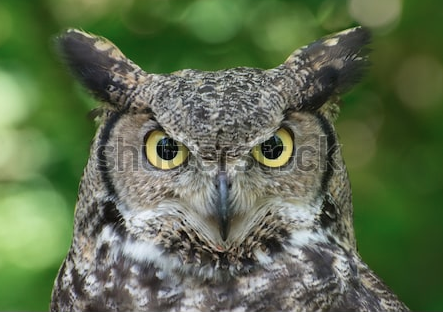 The Great Horned Owl’s mating call can be heard in late January. “I rejoice that there are owls,” he wrote after a description of a demon-haunted night at Walden, filled with dismal screams and the melancholy forebodings of calling owls. He loved to hear their wailing, it reminded him of music and singing. In this regard he was (as usual) a little off center as far as tradition goes. Here in the West, owls do not fare well in legend and literature. Of all the birds that inhabit the fields and forests of the world, owls have probably more legends associated with them than any another avian – not always pleasant legends at that. For example, I had read not long ago an account of an ominous event that took place in the Protestant cemetery in Rome in 1910. One rainy night, the famous early twentieth century Swedish physician and author, Axel Munthe, was involved in a somewhat nefarious transfer of bodies from a grave in the cemetery at Porta San Paolo. He and the gravedigger were hard at work when, out of the gloom, from behind the Cestius Pyramid, a big owl began to sound off. Munthe was a great lover of owls and birds in general. He traveled in the highest social circles, was classically educated and a skilled physician, but a chill shot through him nonetheless. He knew that owls were the traditional the harbingers of death. Just before the Roman emperor Antonius died, an owl had alighted on his residence. Same thing happened to Valentinian, according to Roman histories. And before the death of the great Cesar Augustus, an owl called out. Later in history the Italians had their revenge by consuming owls or using them in net lures, but even in Munthe’s time, and well into the twentieth century, Italian peasants traveling at night would sign themselves or touch a crucifix if they heard an owl call. Owls fare no better in English and northern European folklore. You couldn’t even mention owls in Munthe’s native Sweden without putting yourself at risk of a sorcerer’s charm, and killing one was sure to bring on ill luck. Throughout northern Europe and even into the Near East owls were considered the associates of witches and dark deeds, harbingers of a death to come, and were even used as ingredients in witches brews. Shakespeare’s weird sisters used an owlet’s wing to strengthen their foul concoction in Macbeth, and later in the play, an owl — “the fatal bellman”— shrieks just before Macbeth murders Duncan in the second act. No doubt the scream of that notorious Irish herald of death, the banshee, had its origin in the wail of the little Irish screech owl. Curiously there are only two exceptions to this bad reputation of a perfectly innocent creature which, by the way, does inestimable good for the human community by holding down the populations of grain eating mice. In ancient Greece the owl was considered a sacred bird, associated with wisdom and the goddess Athena. In fact in some of the statues of Athena the goddess appear with an owl’s head. This association with intelligence was even used in a wordplay by one of the greatest of the Greek heroes. When he reached Sicily after the fall of Troy, Odysseus and his men unwisely took shelter in a cave belonging to the one-eyed Cyclops, Polyphemus. When the giant came home from tending his sheep that night, finding the sailors inside, he rolled a rock in front of the cave mouth and proceeded to eat a few men for dinner. After his repast, he asked for the name of their leader. The wily Odysseus announced that his name was Otus. “My name is Nobody,” Odysseus said, in effect. Those who remember the story will recall that after the crew managed to blind Polyphemus, all the other Cyclops, hearing his bellows, came to the mouth of the cave and asked what was wrong. “I am blinded,” Polyphemus called out. His fellow giants departed the scene and Odysseus aka, Nobody, or Wise Owl, and his men escaped. The other cultures that appear to have a certain reverence for owls are certain tribes of American Indians. Archeologists excavating an eight thousand year old rock shelter not far from Marlboro, Massachusetts, found, among the bones of more edible species, the tiny hollow bones of a screech owl. The owl could have been used for ceremonial purposes, or perhaps was even kept as a pet. In historic times there are records of pet owls kept by the Mandans in the Missouri River Valley and the Zuni, who had a special reverence for owls, used to keep them in their houses. Small children were warned that they were all knowing creatures. On a darker side, shamans in certain Midwestern tribes used to transform themselves into owls in order to attack their enemies, according to Ernest Ingersoll, who researched bird legend throughout the world. None of these mystic emanations should be surprising to anyone who has ever been awakened by the shivering descent of a screech owl call at midnight just beyond the bedroom window, let alone the bizarre, strangled caterwauling of a barred owl from a nearby wooded swamp. No dread in the heart of Henry Thoreau, though. It was music to his ears. John Hanson Mitchell is a travel and natural history writer and the author of Ceremonial Time: Fifteen Thousand Years on One Square Mile. He founded and edited the Massachusetts Audubon Society journal, “Sanctuary.” Mr. Mitchell lives in Littleton, Massachusetts.